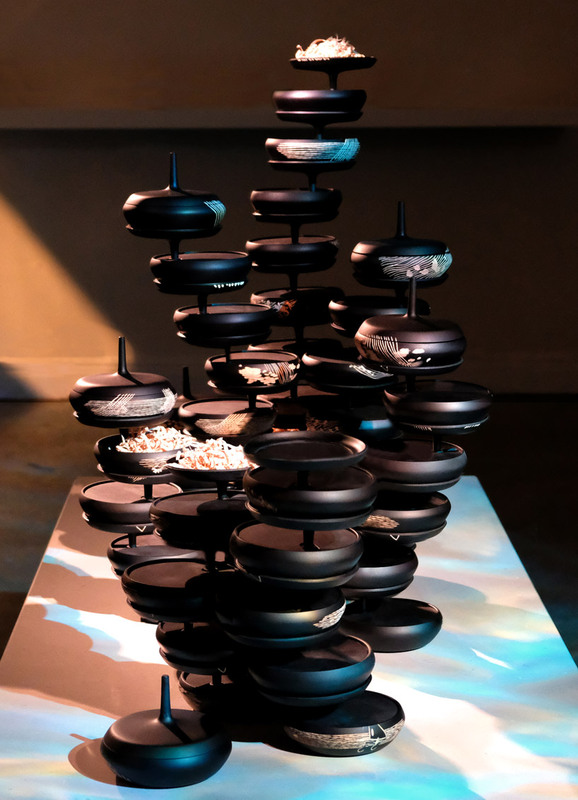 designboom was recently invited to experience the ‘scentense’ project, which was unveiled during stockholm design week and created in collaboration with muro scents co., monica förster design studio, frankly//aakerlund, and zanat. 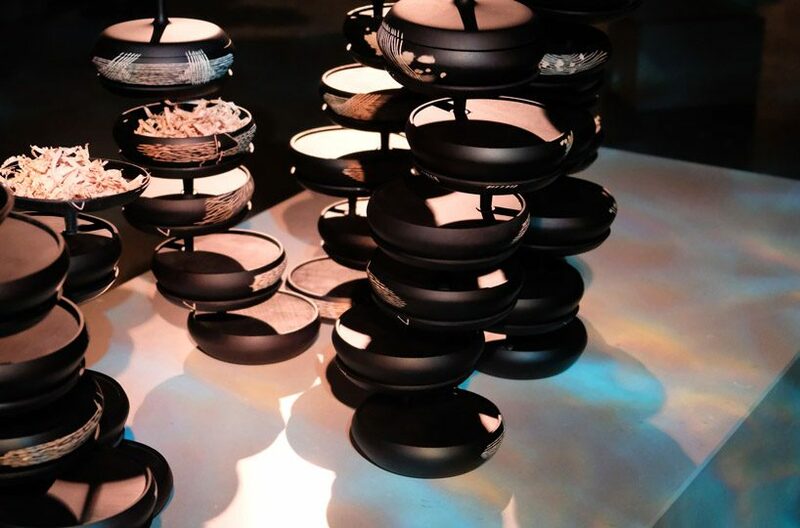 the respective designers have came together to create a sensual experience that uses tailor-made scents to evoke different memories and feelings. 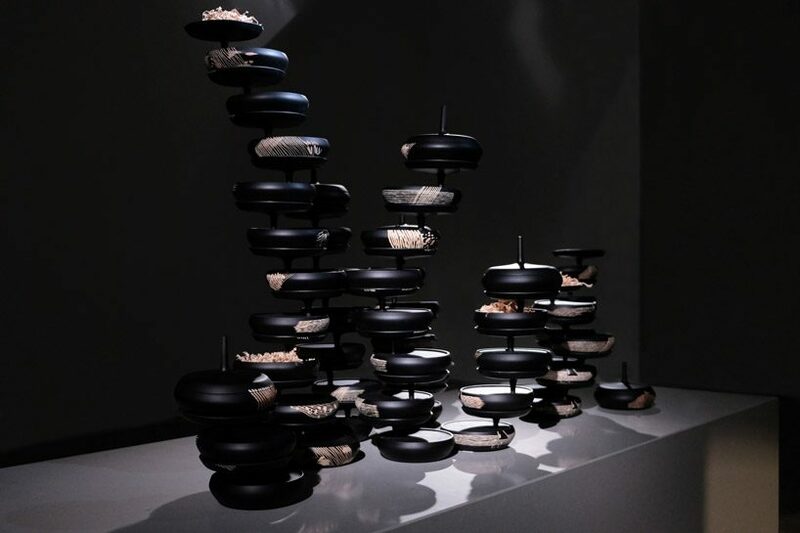 the project by muro, förster, frankly//aakerlund, and zanat, combines designed wooden objects and left-over wood chips which hold the perfume. 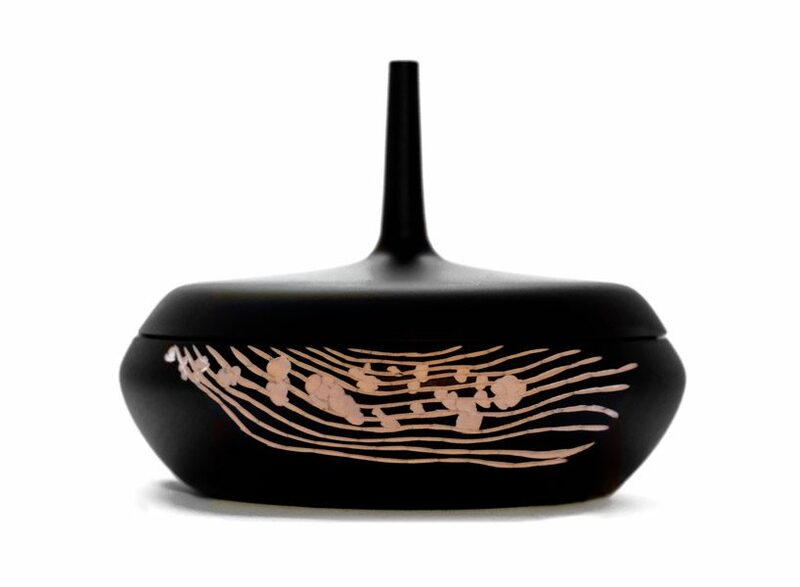 there are three different scents that have been created, each pertaining to a specific memory of one of the designers. 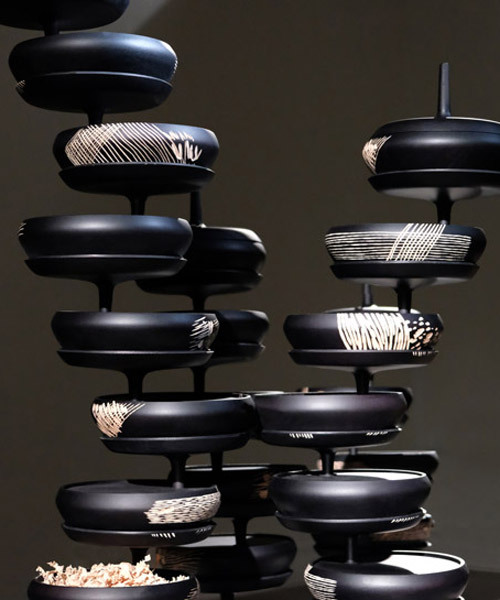 the concept uses the most powerful human sense to explore the idea of memory. 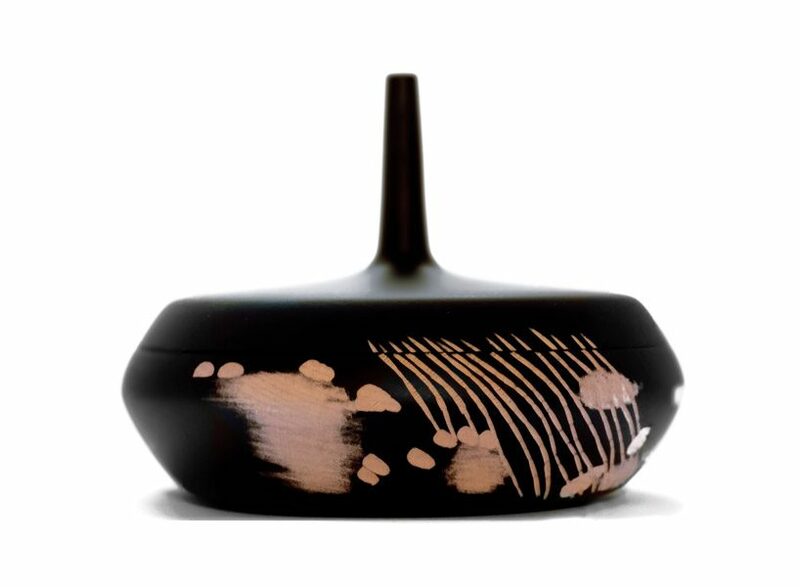 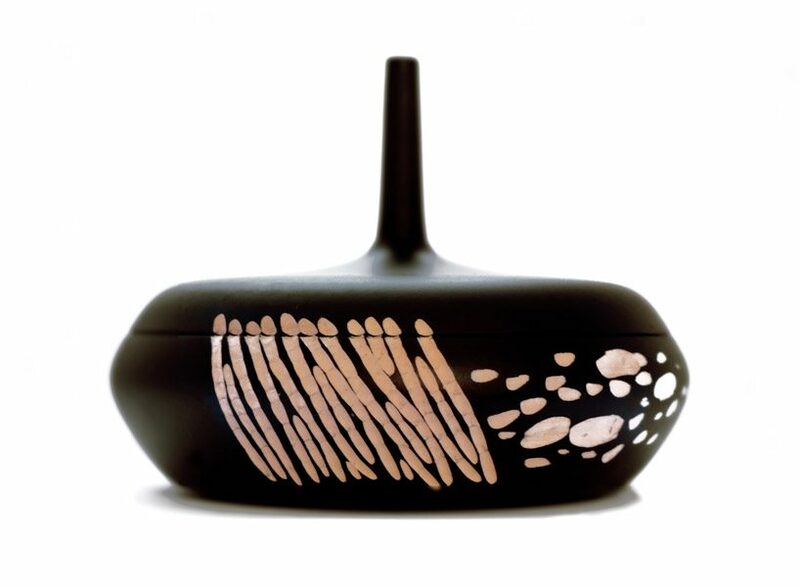 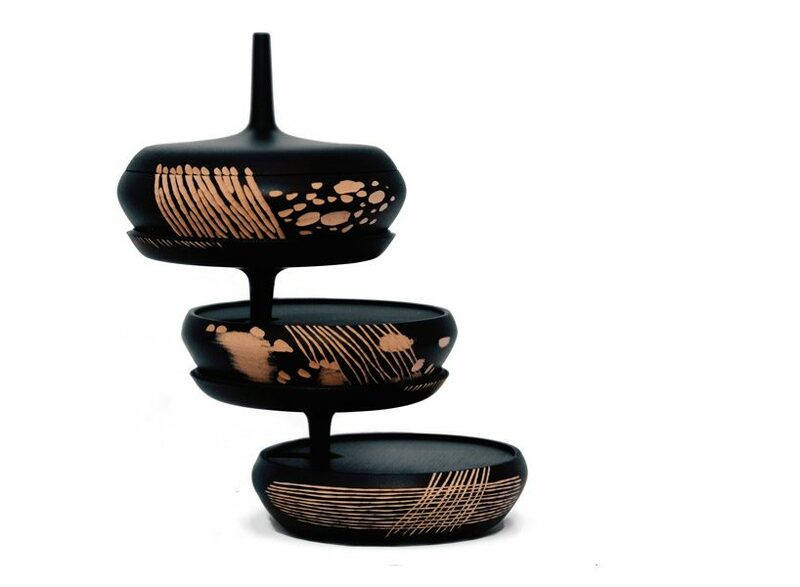 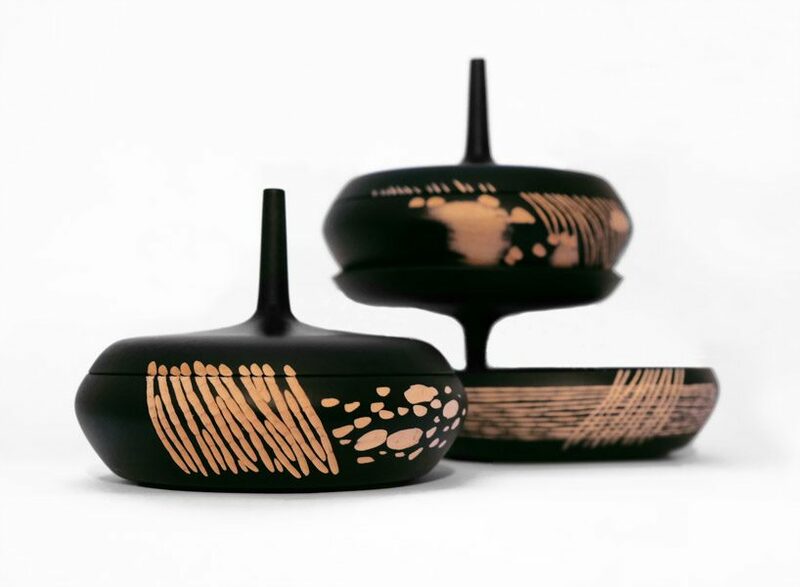 the small pots, designed by monica förster, have been hand-crafted by zanat using a carving technique that is currently in the process of being enlisted to the UNESCO world intangible heritage list. 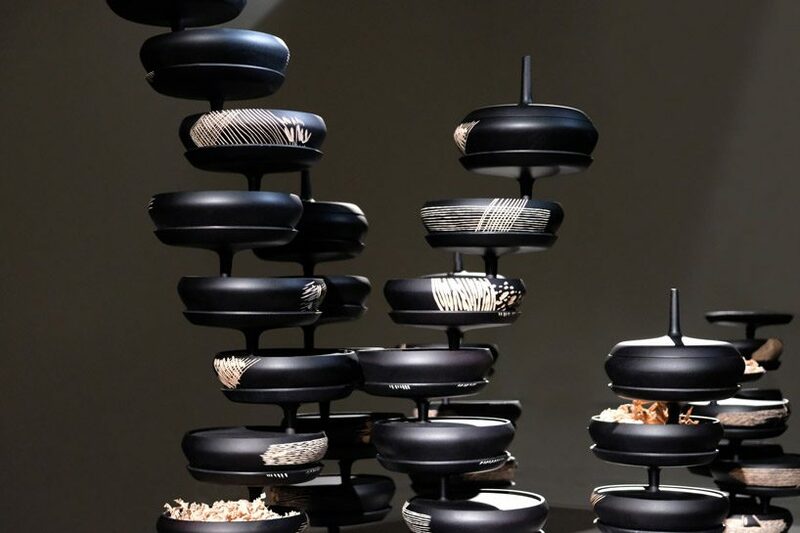 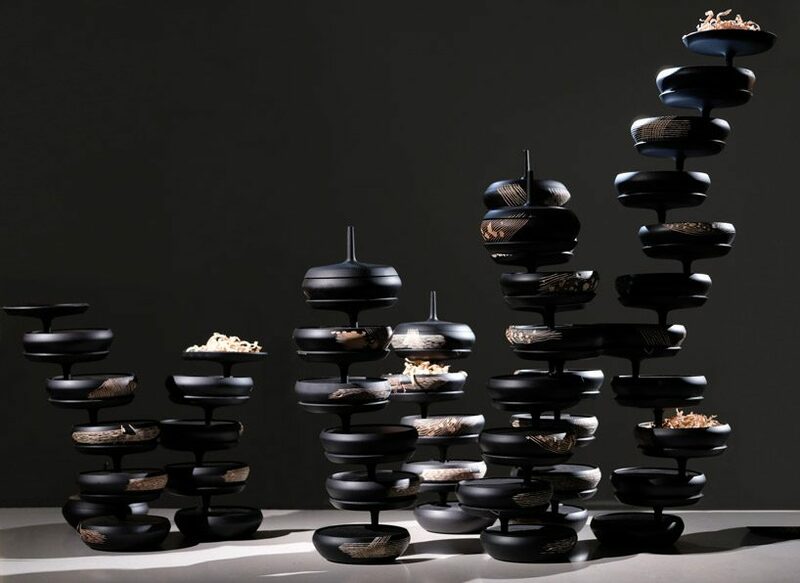 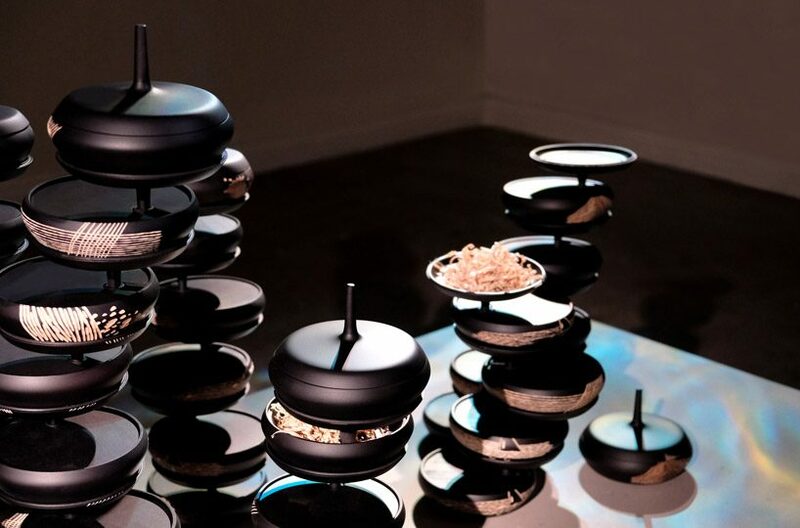 the individual pots are then stacked on top of each other in an interesting display, releasing the unique perfumes. 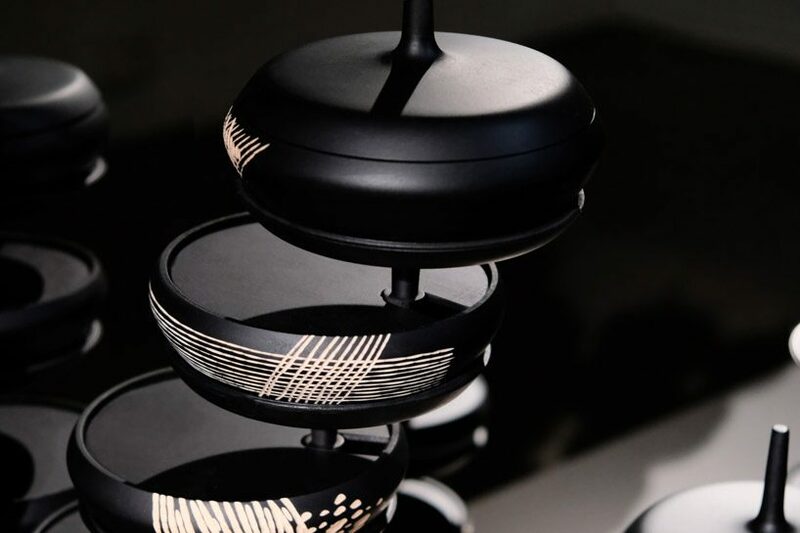 the project is currently being showcased by invitation only during stockholm design week 2019, feb 4th-10th.